Should I Put Prices on My Website? And, if yes, how? We are often asked, whether an artist should post prices of their works and if so, what's the best way to do this. If you're not represented, post your prices. If you ask visitors to contact you, etc. before finding out the price, most won't do this. And, you may lose a potential sale. Just like in the real world, many of us like to shop quietly by ourselves, to come to our own decisions and then reach out. If we have to ask about prices, there's a good chance the piece may be out of our budget and if not, maybe you'll try to sell us on another piece or even a piece at a higher price. We all like to think that we're getting value for our purchases. 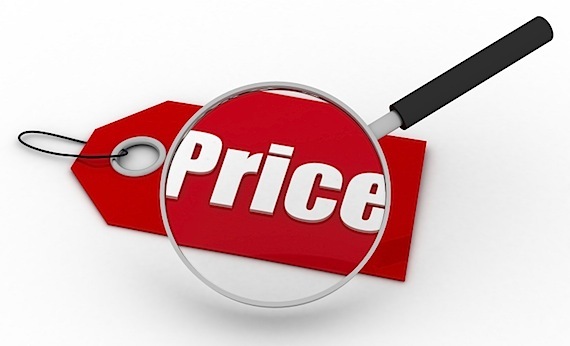 So anything you can do to help buyers understand your pricing structure can be quite helpful. Perhaps, it's based on size, medium, or other factors. Regardless of your pricing structure, we do recommend you create a page on your website outlining how you price your artwork so that potential buyers understand why they're paying what they're paying. Online art shoppers may want to see art on approval first and be able to return it for complete refunds (less shipping costs), especially for cases where the artwork doesn't look like they thought it did when they saw it online. No approval, return, and refund policies mean fewer, if any, sales. The more willing you are to work with buyers, the greater your chances of selling art. The more professional you appear, the more comfortable people feel about buying from you. Online shoppers tend to be conservative. They tend to start out by buying less expensive pieces from artists they're not already familiar with or who they don't already know. As a result, they may get discouraged if every piece they see costs thousands of dollars or more. This is especially true of people who happen upon your site for the first time. And, impressing first-timers is critical to your online success as an artist. So make sure that pretty much anyone who likes your art has a chance to buy something regardless of his or her budget. Have I missed something? Please let me know what's worked for you and if there is anything else that you'd add to our list of tips!